Speaking of economic development and PAID, Inc., check out Evan Brandt’s story on Steve Bamford, the executive director of PAID. He’s been on the job for just a few months, but he’s already making things happen, one conversation at a time. Glad to have you on board, Steve! VideoRay, LLC and Pottstown Area Industrial Development, Inc. (PAID) have announced plans for the relocation of VideoRay’s headquarters to Pottstown, Pennsylvania. VideoRay, the global leader in observation Remotely Operated Vehicle (ROV) technology, is working on plans to acquire and renovate the former Levitz building at 212 E. High Street. The building would initially be occupied by 35 VideoRay employees working in management, corporate administration, marketing, engineering, assembly, and repair functions. The rapidly growing manufacturer of very small underwater ROVs expects to increase the size of its workforce over the next several years. PAID and the Borough have been working with VideoRay since November to help determine the feasibility of relocating and alleviating concerns about moving from a rural to urban environment. The company has outgrown its current location in East Pikeland, Chester County. VideoRay is also exploring establishing a robotics campus in the building by leasing space to independent companies that provide some of the accessories and software used by VideoRay and its customers. “The prospect of additional technology companies moving to Pottstown is tremendously exciting and we are here to be of assistance,” said Bamford. With more than 1,950 Remotely Operated Vehicles (ROVs) in service around the world, VideoRay is the global leader in observation ROV technology. 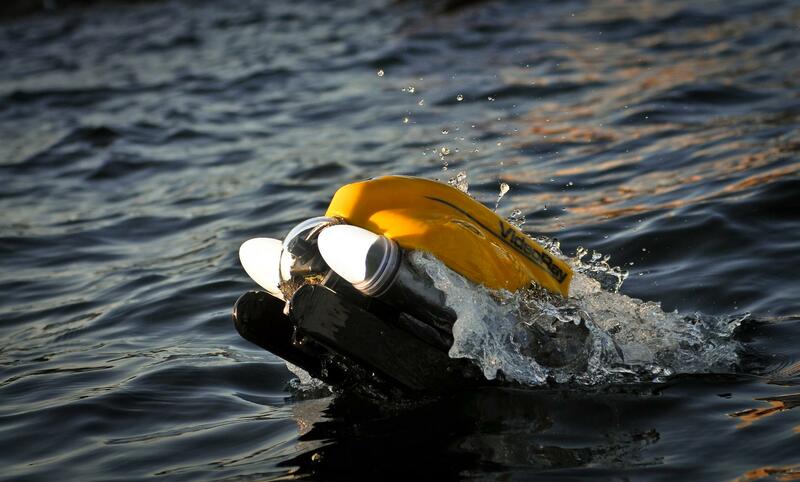 The VideoRay ROV is an extremely versatile, portable, affordable, and reliable solution for underwater operations including surveys, offshore inspections, search & recovery, homeland & port security, science & research, fish farming, and other unique applications in underwater environments. More information about VideoRay can be found at www.videoray.com. Pottstown Area Industrial Development, Inc. (PAID) is the non-profit corporation designated by a partnership of the Borough of Pottstown, Pottstown School District, and the Montgomery County Redevelopment Authority to coordinate and lead economic development efforts within the Borough of Pottstown, Montgomery County, Pennsylvania. 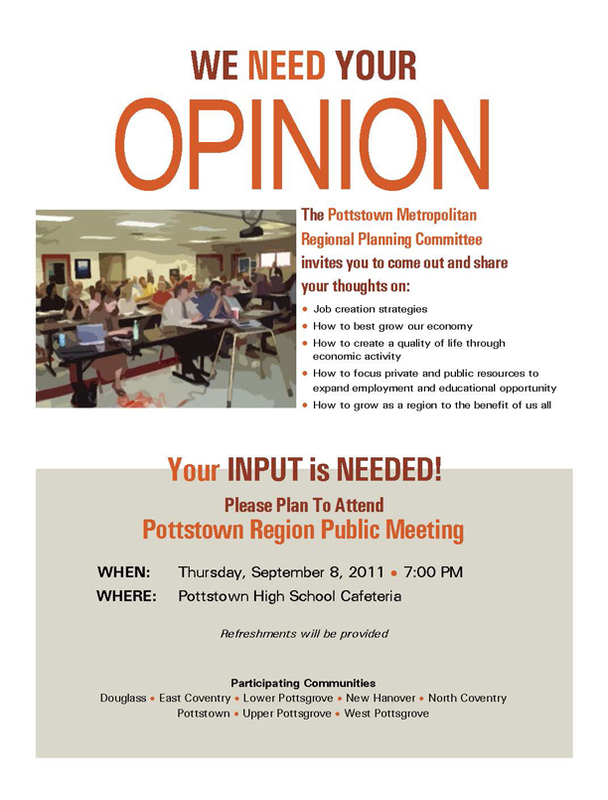 Below is information for business owners and entrepreneurs from the Pottstown chapter of SCORE. SCORE is made up of current and retired professionals with years of experience and success in business. They understand the challenges you’re facing, and their workshops and counseling services are geared to give you real-life insights, advice, and education. Check out all they have to offer at their website. And definitely check out their upcoming social media series on March 5, 12, 19, 26 to find out how to get people talking and texting and tweeting about YOUR business. Pottstown, PAHave you engaged your customers in a conversation? Are your customers telling others about you? Social Media is about engaging your customers so that they promote your business. Here’s an opportunity to learn what this is all about and how you can apply it to GROW your business. This workshop series is taught by practitioners recognized as experts in the use of Marketing and the Social Media technologies. This session focuses on what you need to do to get ready for a marketing program using the Internet. The keys to getting great results from your marketing program. How to create a compelling message. How the Marketplace has changed. How to implement your marketing through technology to get the results you want. This session focuses on what you need to know before you get started, how to build an effective Social Media campaign for your business and how to build your online social network . What Social Media Networking sites you need to be on, how they work and how to set up an account. The Power of Blogging including: what is it, how will it help your business and WordPress.com, the blog site you need to be on and how to use it. Why you should think about Video Blogging. How Social Media will save you money while making you money. Your Customers are using Mobile … There’s an App For That and More! Why you and your business app-solutely need to have a Mobile Strategy. Learn how to leverage a Cross Channel Mobile Marketing Strategy. Why you should be building a list of your customers. Identifying the best marketing channels for your message. How to build a laser targeting list of customers using Mobile Marketing. How and Why you should build a Mobile App for your Business. IV. eMail and Social Media—are they married yet? This session focuses on how to use eMail marketing to engage your customers. Why eMail should be a part of your Marketing Strategy. How you can get into Social Media for free today—and here is the instruction book. What you should measure and what you should do about it. Each session costs $40. A special price of $100 is offered for all 4 sessions as a package. Additionally there is 50% off the course fees for each additional person. All fees are non-refundable . You can register by submitting an Online Registration Request . The registration fee will be due the first night of the workshop. You can also register by mail by downloading and mailing this Registration form along with the workshop fee. Make checks payable to SCORE and mail to: Pottstown SCORE, Chapter 594, 244 High Street, Suite 102 Pottstown, PA 19464. Downtown Pottstown ready for shoppers today and Sunday! Pottstown residents, supporters and the Pottstown Downtown Improvement District Authority (PDIDA) are encouraging shoppers throughout the region to put Pottstown’s retail, dining, and entertainment businesses on their lists this holiday season. Event facilitator will be available there until 11:15. In support of your local economy and in coordination with Occupy Pottstown, We cordially invite you to join us for a Holiday Shopping March. Your day will begin at a predetermined location where you will meet the local facilitators of the event. You will be given information on the merchants in the area and details on any other events which may be occurring. You will also be asked to help us promote a positive image of Occupy Pottstown. You may, or may not, oblige by wearing a pin and/or distributing educational materials. Then you are free to shop, browse, spread the word or simply enjoy the social aspects of the day by strolling the High Street Shopping District, solo or with others. You are invited to end your day by relaxing with the group in a noncommittal environment at a pre-selected restaurant. It is becoming increasingly harder for small, local businesses and artisans to survive in the corporate climate of this nation. We ask for you to please put aside any bias or preconceived notions you may have and join us in the fight to bring America back to the People. Thank you, in advance, for your consideration and cooperation. Happy Holidays and Blessed Be to you and yours. Downtown Pottstown will host “Super Sunday” on Sunday, November 27th. Sheila Dugan, the Chairman of Pottstown Downtown Improvement District Authority (PDIDA), is inviting all to help celebrate National Support Small Business Day. Many downtown merchants will have their doors open to take part in the celebration from 12:00 noon to 4:00 p.m. The Farmer’s Market will host a number of crafters and special deals will be found at Grumpy’s, Freeland Meats, and J. & H. Produce. There will be many activities for youngsters including face painting and a visit to the Santa house as it is being decorated for the upcoming holiday season. The Farmer’s Market will also be hosting “The Giving Tree” for Head Start. Donations of food and clothing will be greatly appreciated. The Second Brigade Motorcycle Club will be displaying their bikes in the parking lot of Sovereign Bank on the 200 block of High Street. They will be collecting food and clothing items to be donated to families of members of the military. They will also accept gift cards to supermarkets and coupons for free turkeys. The Second Brigade Motorcycle Club supports veterans and members of the military who every day put their life on the line to preserve our freedoms. Also featured will be the tree decorating contest which will have the winners’ named on December 18th. Sponsor of the winning entry will receive $500.00 for their organization. Free trolley rides with stops at the 100, 200 and 300 blocks of High Street will be available during Super Sunday. Additional shops opened will include Lastick Furniture, Cole’s Tobacco, Tri-PAC, Memories N More, Argento’s Pizza, Laserworx, Juan Carlos, Rich Ranieri, Weitzenkorn’s, Christian Reading Room, Bistro 137, Old World Barber Shop, and the High Street Music Company. December 2nd is a visit by Santa Claus and the traditional candy toss. December 4th the Parks and Recreation Department will be sponsoring the 5K Santa Run and Bark for Life event. December 9th is Mosaic and PDIDA Holiday Ball. December 11th is Santa Open House. December 18th is the Holiday Brunch with many local restaurants participating. For more information contact SheilaDugan@comcast.net. The economy being what it is, chances are you know someone who is unemployed or underemployed, including possibly yourself. The TriCounty Community Network (TCN) has announced announced the First Annual TriCounty Community Job Seekers’ Forum on Thursday, November 3 from 6:00 p.m. to 8:00 p.m. at the TriCounty Performing Arts Center & Village Productions (TriPAC) at 245 East High Street in Pottstown. TCN is a nonprofit organization dedicated to improving health, social and environmental conditions in Western Montgomery, Northern Chester and Eastern Berks counties in Pennsylvania. The event will enable job seekers to learn about job opportunities in the Tricounty area, hear first-hand from employers and participate in a Q&A session with human resource professionals from area employers. Presented by TCN and coordinated by the TCN Exelon Nuclear Workforce Development Program, the Job Seekers’ Forum will include: AlliedBarton Security, Exelon Nuclear, HCR ManorCare, Lowe’s, PeopleShare Staffing, Pottstown Memorial Medical Center, and Robert Half International.